The products that you put in your weekly shopping basket can affect the lives of people living thousands of miles away. Okay, that's the "tugging at your heartstrings" part of the equation. There is, also, the personal benefit gained from purchasing fair trade goods. Fair Trade foods are grown sustainably, ensuring a better future for all of us. Because sustainably-grown crops do not deplete the soil, they provide superior nutrition. Fair Trade helps create a more peaceful world, one you can be proud to pass on to your children and grandchildren. Fair trade goods are often made much closer to home than you might ever have imagined. Businesses in Scotland and throughout Europe design and arrange for manufacture adhering to Fair Trade standards, thus producing sustainable and lasting businesses and employment for our economy. Fair Trade goods aren't just run-of-the-mill or boring. What more could you possibly want from products you purchase? They're good quality, they help make life better for people all over the world, and buying Fair Trade simply makes you feel good! One word or two words? What's the difference? It may sound a tad silly, but there really is a distinction between Fairtrade-One-Word and Fair Trade-Two-Words, and both terms are used on the Fair Trade Stirling website. Fairtrade, one word, is a trademark owned by FLO (Fairtrade Labelling Organisations International), a consortium of several national labelling groups that have come together to promote Fairtrade and assure that standards for their products are met. FLO authorises use of the trademark and controls its application. The Fairtrade logo assures that appropriate standards have been met in the production of the product. Fair Trade is a generic term, referring to the concept of supporting fair, open, and honest trade for all people involved, with a focus on the people who have been coming up short in the realm of international trade. Fair Trade Stirling takes an active interest in all aspects of the issues, including peripheral ones that disproportionately affect people in less advantaged areas, including links with other key challenges that disproportionately affect people in less advantaged areas, such as climate change. Fair Trade Stirling supports a wide variety of Fair Trade efforts, but has a special interest in Fairtrade, single word. We were instrumental in coordinating the effort to achieve Stirling's Fairtrade City status, which is authorised by the FLO Fairtrade Towns program, and we take great pride in this accomplishment. To this end, we strive to assure that Fairtrade products are widely available and to bring awareness of Fairtrade goals and products to the people of Stirling. We're currently working on expanding this to Fairtrade Zone status for the entire Stirling Council area. Throughout our site, the term Fairtrade refers only to products and systems licensed by and associated with FLO. Whenever Fair Trade appears as two words, you will be seeing information that references a generic sense of the term. There are many organisations across the world involved in Fair Trade, from local producer initiatives to major international organisations. In the UK, you're most likely to run across the Fairtrade Foundation. This is the organisation which regulates Fairtrade labelling of products in the UK, organises Fairtrade Fortnight, and promotes Fairtrade Towns, Cities and Zones. 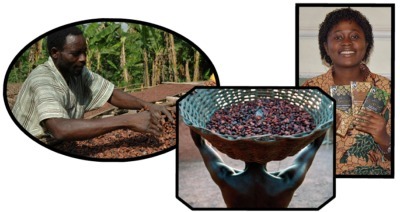 The Fairtrade Foundation is, in fact, the British arm of the Fairtrade Labelling Organisations International (FLO). This is the international body which sets the standard for Fairtrade products, promotes trade justice and supports Fair Trade producers, and co-ordinates Fairtrade strategy across the world. However, there are many organisations promoting Fair Trade in the more general sense. One of the biggest is the World Fair Trade Organisation (WFTO), which advocates, promotes and builds the market for Fair Trade across the globe. Please click the links to go to the websites of each organisation in order to find out more about them.